…and cuter than you, a harder worker than you, and just flawless all around. I’m talking about this 6 inch space heater that brings all the boys to the yard. Desk edition. First things first: happy belated new year! I feel like an awful mother neglecting the blog, but lately life has been life [if you know what I mean]. Work is busy AF and although I am three months into my new NYC career, I am still trying to figure out how to manage my personal time while also commuting 4 hours a day. I will say that I did have a fab Christmas and New Year; I had two full weeks off from work, traveled to Mexico again w/ boo [anotha one – dj khaled voice] in lieu of his company’s phenom annual vacation, and obviously spent hours on hours with the fam, eating food, like it was going out of style. Now that the holidays are over I promise I'll be back in full swing soon. Although I don’t hate winter, I tend to be a hermit in the cold. Speaking of cold, I cannot stand being cold in the workplace. At my old office, I’d keep a legit heavy duty space heater under my desk. I’d even crank that baby up during the spring/summer, and believe me, I wasn’t the only one. 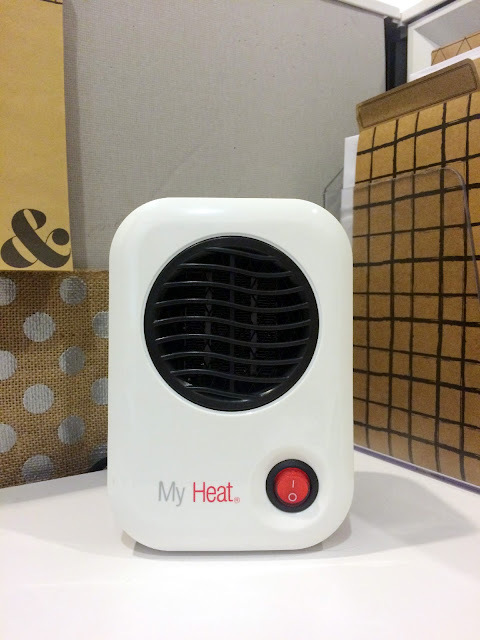 After switching jobs in October, I’m embarrassed to admit that being frightened about not having my space heater was definitely up there with the top 5 worries when beginning a new career. I'm the COLDEST. GIRL. ALIVE. 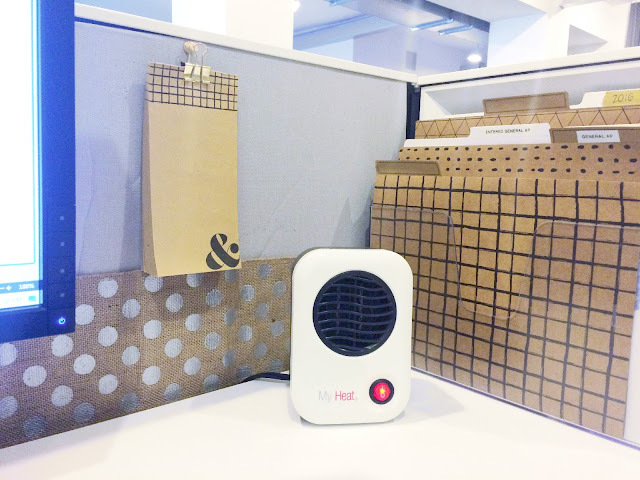 Enter, the cutest little space heater ever by Lasko that's made especially for your office desk or workspace. It stands 6 inches tall (or small), made of safe ceramic, and doesn't require much power that normally would trip a circuit breaker. My Heat Personal Heater gives out the perfect amount of, yup - you guessed it, personal heat, so you don't have to worry about your colleagues melting while you're freezing in July because the AC in the office is cranked. And you're wearing a dress that's cute AF. You can grab one on Amazon for about $16 here with your choice of 4 colors. Free 2-day shipping Prime eligible, too. Boom. 7 comments on "When Your Work BFF is Hotter Than You"
dying to see a post about your new desk/cubicle set-up! Loved your last post-I was so inspired by the chevron and teal! 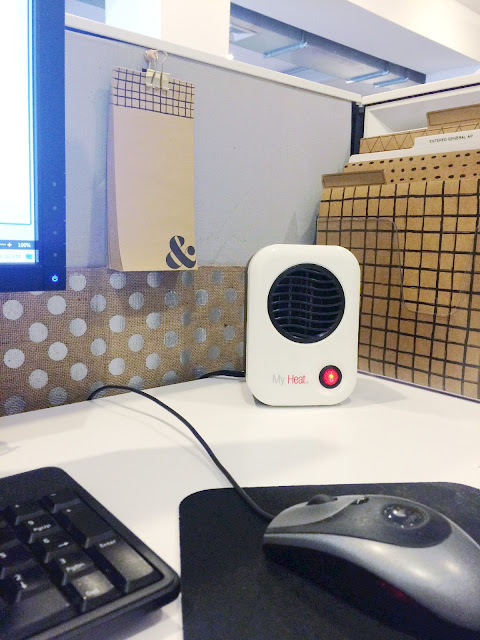 We are not allowed to have any heaters in our office as it is a fire hazard. Wouldn't this be one also?